Namor, the Submariner has longed for this moment all of his life: Unlimited power and the ability to seek revenge against all who have wronged him! How will he utilize this power in your own game? Enjoy! Thanks again to Mirko for his fantastic datafiles. 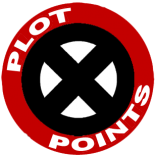 This entry was posted on September 14, 2016 by Mark in AvX, Datafiles, Events.